comment With your own audio-guide, you can explore the most famous cathedral in the world at your own pace. 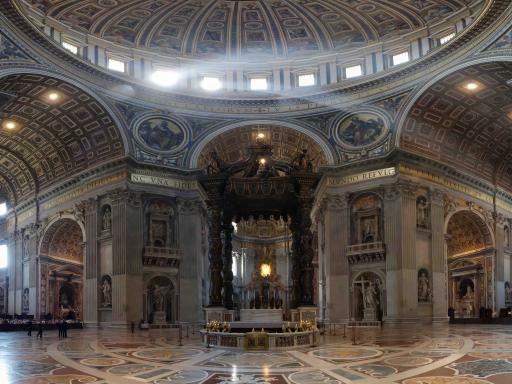 Audio guided tour of St. Peter’s Basilica, enabling you to explire the Basilica at your own pace. 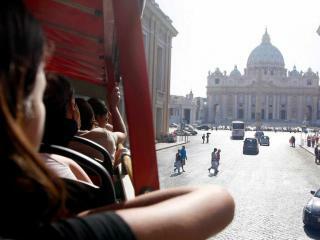 Discover the attractions of Rome from the top of an open-top bus on a 24 or 48-hour hop-on, hop-off bus tour. 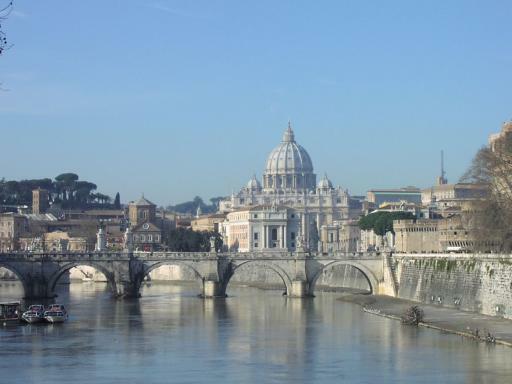 Your ticket includes admission and an audio guide to St Peter's Basilica in the Vatican allowing you to explore the most famous cathedral in the world. 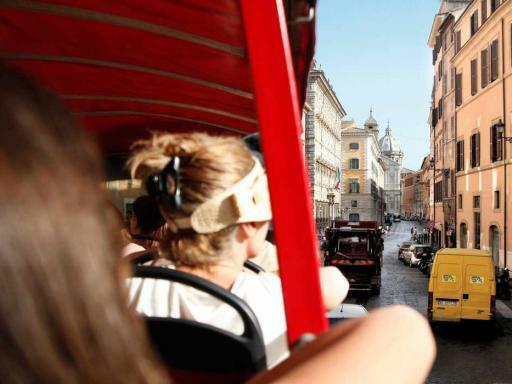 A hop-on, hop-off bus tour is one of the easiest ways of exploring the incredible city of Rome and an excellent way of get your bearings. All the stops are situated best to the best known and best loved monuments and landmarks ensuring you do not miss any of the key sights. You can hop-on and off the sightseeing buses as many times as you like for the duration of your ticket giving you the flexibility to explore, sightsee and visit attractions. Included in your ticket is an audio guided tour of St. Peter’s Basilica, enabling you to explore the Basilica at your own pace. 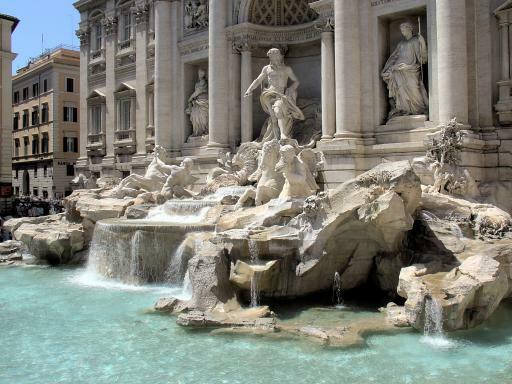 From the Trevi fountain to the Colosseum, Rome’s abundant sights rival those of any other city on the planet, in terms of their beauty, historical importance and ability to simply take your breath away. Whether your interests lie in antiquity, architecture, cuisine, culture, religion, shopping or sport, Rome has something to suit all tastes. Stroll through the Pantheon, marvel at Michelangelo’s Piazza del Campidoglio and admire the Swiss Guardsmen of Vatican City. Try a ‘proper’ spaghetti alla Carbonara near the Spanish Steps or sit back with a coffee and people-watch in Piazza Navona. 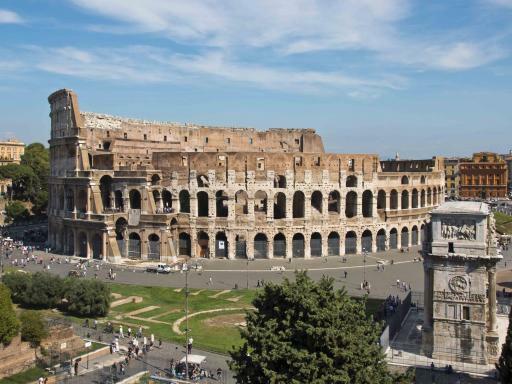 Alternatively, if you fancy a break from Rome sightseeing, act like a local and take in a Lazio or Roma match at the Olympic Stadium. There are two different routes availble on the hop-on, hop-off bus. Departure Location: You can board the bus at any one of the 9 stops around the city or any of the City Sightseeing shops. 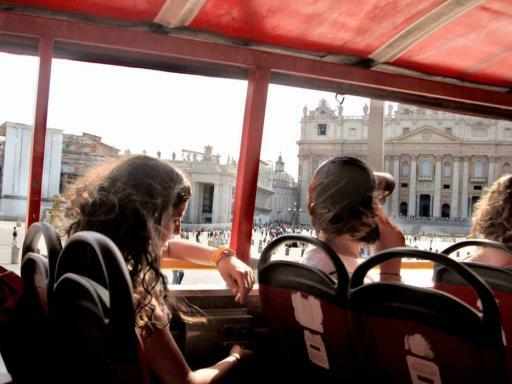 Departs: The Rome Hop-on/Hop-off Double Decker Bus Tour runs daily. St Peter's Basilica is open every day except Sundays and religious holidays. Start Times: The first bus departs from Via Marsala at 9.00am. Buses run every 20 minutes until 5.00pm from October - March and 7.30pm April - September. Your audio guide for St Peter's Basilica can be used any time between 9.30am and 3.00pm (1.00pm to 3.00pm on Wednesdays). You will be issued with an open-dated ticket voucher which can be redeemed at anytime on your visit to Rome. This can be exchanged at one the CitySightseeing Visitor Centres (addresses listed on the voucher) or when boarding the City Sightseeing Bus for the first time. We recommend exchanging your voucher at a Visitor Centre so they agent can take you through how the ticket works and answer any questions you may have. 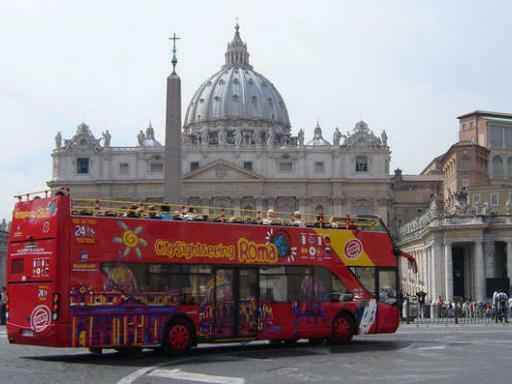 Upon redemption you will receive your 24 or 48 hour Hop-on Hop-off Bus ticket and instructions for your audio guide visit to St. Peter’s Basilica. The audio guide for St. Peter’s Basilica can only be used between 9.30am and 3.00pm (1.00pm to 3.00pm on Wednesdays). Entrance into St. Peter’s Basilica is subject to a strict dress code. Shoulders and knees must be covered. No low-cut or sleeveless tops or shorts. Clients that do not adhere to the dress code will not be permitted to enter St. Peter’s Basilica. 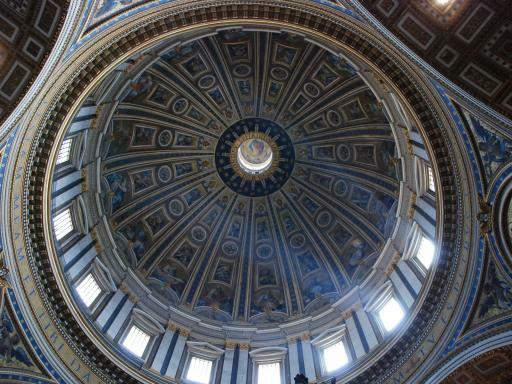 Photo ID may be required to enter St. Peter’s Basilica. 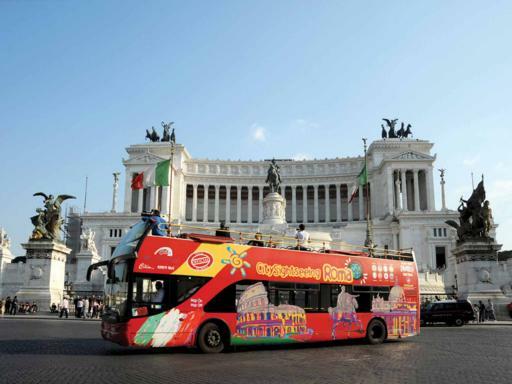 Where are the City Sightseeing Visitor Centers located? You can redeem your voucher when boarding a bus or at a City Sightseeing Visitor Center. Attraction Tickets Direct recommends using a Visitor Centre so an agent can guide you through the pass and answer any questions you have. What does 'Hop On Hop Off mean? The 'Hop On Hop Off' formula allows passengers to get on and off the bus at their own leisure, whenever and wherever they want at any stop along the route. When does the ticket become valid? The ticket becomes valid immediately after your voucher has been redeemed. How long is the hop-on, hop-off pass valid for? Your hop-on, hop-off pass is valid for 24 or 48-hours and expires exactly 24 or 48 hours after the voucher has been redeemed.